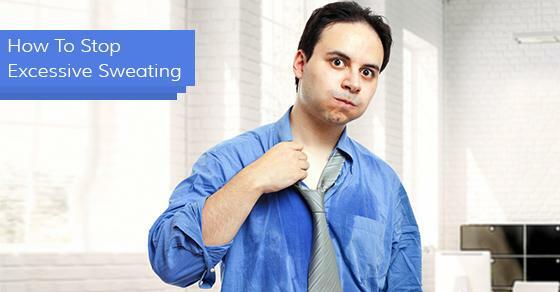 Excessive sweating is embarrassing and uncomfortable. Damp clothes, stained armpits, wet and slippery palms or feet complicate romance and social and business interactions. Many sufferers experience acute stress and may limit or avoid social activities which are integral to mental health. Excessive sweating, known as Hyperhidrosis, is a condition in which the body produces too much sweat in conditions that don’t warrant it. Sweating is the body’s way of maintaining a healthy internal temperature by cooling it down on hot days, when exercising, or as a reaction to stress. In the person with Hyperhidrosis, the sweating is excessive and often continuous. An estimated 7.8 million individuals suffer from excessive sweating of the underarms, the palms of the hands, or the soles of the feet. Left untreated, the condition may persist throughout life. The good new is that Botox Therapeutic can reduce perspiration by up to 80-90% while in effect. Hyperhidrosis comes in two patterns. There is primary focal sweating that causes excessive sweating in specific areas like the armpits, head, hands or feet. There is also secondary general Hyperhidrosis. In this case sweating happens all over the body, and can be a sign of an underlying medical condition. Regular antiperspirants aren’t strong enough to help Hyperhidrosis and your doctor may prescribe a product containing aluminum chloride. It is easy to use as directed and is often much cheaper than some of the alternatives. Alternately, your doctor may prescribe a drug to stop your body from sweating. These work on the whole body as opposed to one specific area. The drugs enter your system and restrict your body from producing acetylcholine, which is the chemical signal for your body to start sweating. While this method is useful in controlling sweat, if you live or work in a warm environment you will have to take this drug with caution; without the ability to sweat, your body could easily overheat. Many are surprised to learn that there is a medical form of Botox (Botox Therapeutic) that blocks the nerves that trigger and activate your sweat glands. For most patients, this returns them to a normal baseline and they are able to function normally without the worry of excess perspiration. The treatment consists of one painless session in which multiple tiny injections are administered into the affected area. The area is thoroughly numbed prior to treatment, and the sweating usually stops within a few days. The effects can last between 4-6 months, and in some patients, up to 12 months. While Botox is often associated with wrinkles, Botox Therapeutic has been used in a medical capacity and to treat sports injuries for over 30 years. Many Extended Medical Plans cover the costs of Botox for Hyperhidrosis, so the patient only pays a nominal injection fee. Our front end staff can help you with this. If you find yourself sweating more than what is considered to be a normal amount, contact our team today to see how we can help!